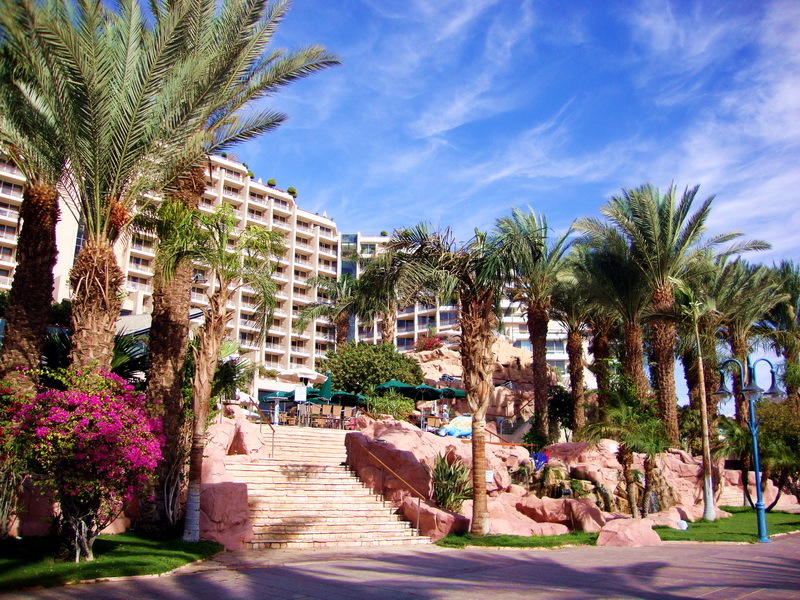 From all my travel over the warm countries and different sea resorts I remember a trip to the city of Eilat on the Red Sea with vivid recollection. 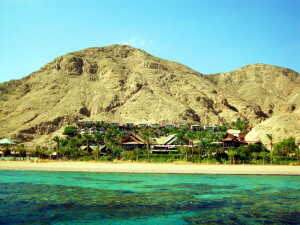 I came with my friends to a holiday at the green-blue sea with velvet sand. It was the excellent idea to go to the place with a lot of sunshine when winter nearly coming to Europe to prolong the fairy tale of summer. 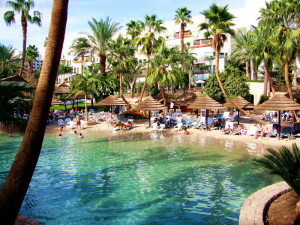 Eilat affectionate from tourists and lazy vacationers welcomes the late guests without vanity. 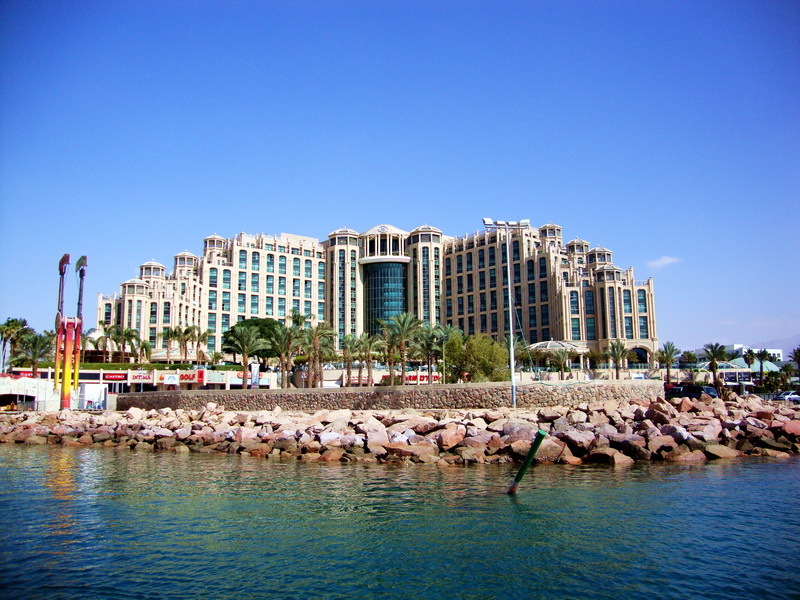 The hotel where we stayed is situated further from the town center on the bank of the Red Sea and has his own beach that creates a number of advantages. What a pleasure to lie on a chaise lounge or sand when the hundred first foot of the lazy sunbather tired of a solar scorching heat doesn’t try to cross over you! There is an opportunity to swim for a while in the sea among motley multi-colored small fishes who weren’t dispersed by numerous swimmers. In the evening in ringing silence under rare splashing of waves you can dream, it doesn’t matter about what you dreaming, just relaxing. If there aren’t enough entertainments in your local area, you can for a walk and find the amusement you like. 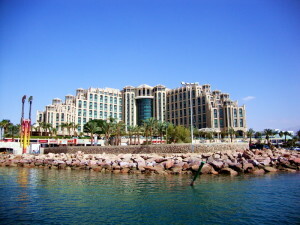 All coastline is occupied only with hotels, cultural life boils in each of them. 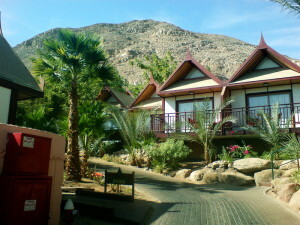 In the first evening we had a walk to the hotel executed in style of the Thai village. All wooden lodges and exotic trees were highlighted by multi-colored lights. 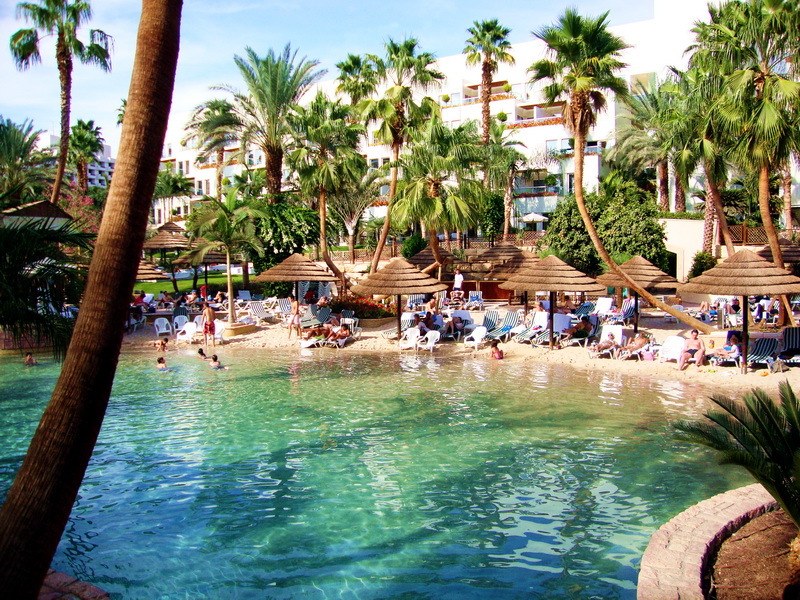 Pools with azure water, curved bridges for lovers through artificial small rivers, wattles chaise lounges at water, the romantic atmosphere everywhere. Is it a fairy tale? Having taken pleasure in a charm of Thai landscapes, we glanced in some more number of located “oases”. In night with lights all surrounded area was fantastic and bright! Only one small disappointment we were not serve in cafe, so we did not get any coffee or beer. It was Saturday, and in Shabbat religious Israelis not only don’t take in hand the tool for opening of bottles, but also don’t press a button of coffee-machines. But some Arab cafes invited tourists admirers of other east culture to them tents. In the morning we went to a small cruise to look at the underwater world with picturesque coral reeves, alga’s, small fishes. Through transparent walls of the sea ship everything was in blue and green tones with gray shades. I expected bright colors, having seen enough earlier beautiful videos with illumination about underwater depths. But where can you find such picturesque view in reality? 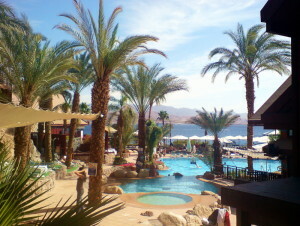 But anyway it was so beautiful! 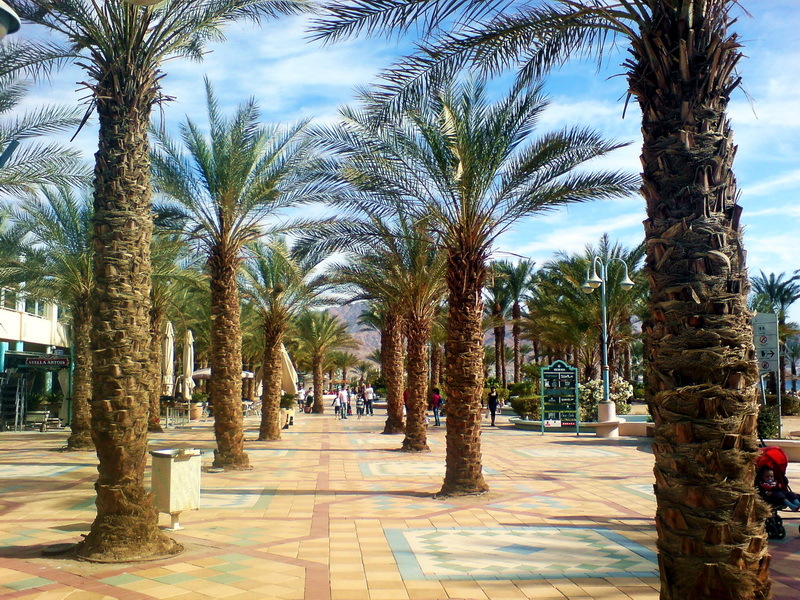 Eilat is a dream place, you are convinced, walking on its palm avenues, the sea embankment, looking in landscape exotic parks of hotels with not repeating designs, magnificent architecture, azure pools. 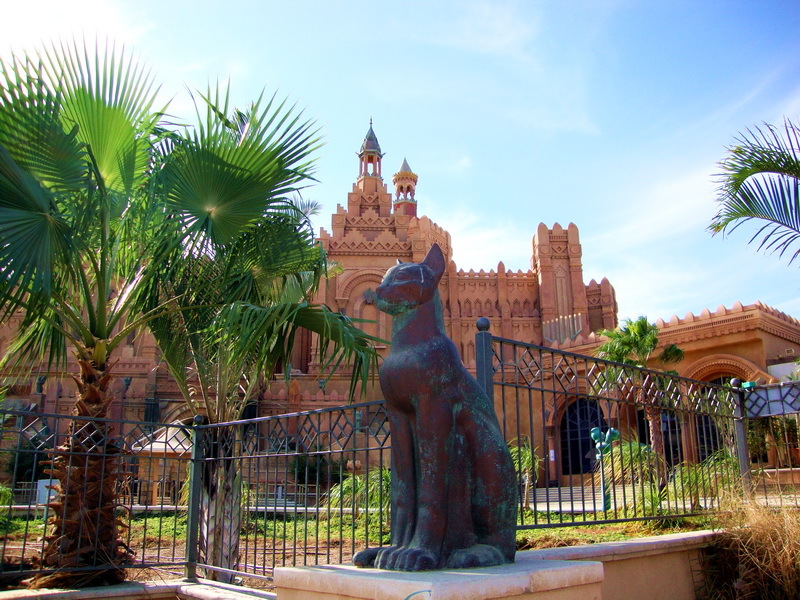 Music of orchestras, rock groups, singing of bards pour in the evening atmosphere of the city. Every each new corner gives you a pleasant surprise! 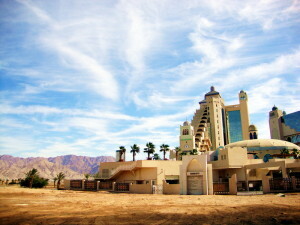 I take off a hat before the Israelis who have created such oasis in the desert! I would like to come back there again! 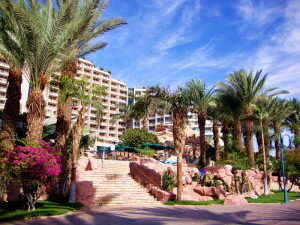 This entry was posted in Sea resorts and tagged Eilat - sea resort. Bookmark the permalink.